Fasting is the willing abstinence or reduction from some or all food, drink, or both, for a period of time. An absolute fast or dry fasting is normally defined as abstinence from all food and liquid for a defined period. Other fasts may be partially restrictive, limiting only particular foods or substances, or be intermittent. The American Cancer Society states that fasting or calorie restriction is not used to treat cancer. In one review, fasting improved alertness, mood, and subjective feelings of well-being, possibly improving overall symptoms of depression. It has been argued that fasting makes one more appreciative of food. In rare occurrences, fasting can lead to refeeding syndrome. The political and religious leader Mohandas K. Gandhi undertook several long fasts as political and social protests. Gandhi's fasts had a significant impact on the British Raj and the Indian population generally. Buddhist monks and nuns following the Vinaya rules commonly do not eat each day after the noon meal. This is not considered a fast but rather a disciplined regimen aiding in meditation and good health. Fasting is practiced by lay Buddhists during times of intensive meditation, such as during a retreat. During periods of fasting, followers completely stray away from eating animal products, although they do allow consumption of milk. Furthermore, they also avoid eating processed foods and the five pungent foods which are; garlic, welsh onion, garlic chives, asana, leeks. The Middle Path refers to avoiding extremes of indulgence on the one hand and self-mortification on the other. Prior to attaining Buddhahood, prince Siddhartha practiced a short regime of strict austerity and following years of serenity meditation under two teachers which he consumed very little food. These austerities with five other ascetics did not lead to progress in meditation, liberation (moksha), or the ultimate goal of nirvana. Henceforth, prince Siddhartha practiced moderation in eating which he later advocated for his disciples. However, on Uposatha days (roughly once a week) lay Buddhists are instructed to observe the eight precepts which includes refraining from eating after noon until the following morning. The eight precepts closely resemble the ten vinaya precepts for novice monks and nuns. The novice precepts are the same with an added prohibition against handling money. The usual fast in the Old Testament began at sundown and extended to sundown the second day. When the partial fast was used, a person would abstain from food only during the daylight hours. Third, the partial fast included abstinence from sexual relationships between husband and wife. In the traditional Black Fast, the observant abstains from food for a whole day until the evening, and at sunset, traditionally breaks the fast. In India and Pakistan, many Christians continue to observe the Black Fast on Ash Wednesday and Good Friday, with some fasting in this manner throughout the whole season of Lent. Partial fasting within the Ethiopian Orthodox Church (abstaining from meat and milk) which takes place during certain times of the year and lasts for weeks. For Roman Catholics, fasting, taken as a technical term, is the reduction of one's intake of food to one full meal (which may not contain meat on Ash Wednesday, Good Friday, and Fridays throughout the entire year unless a solemnity should fall on Friday) and two small meals (known liturgically as collations, taken in the morning and the evening), both of which together should not equal the large meal. Eating solid food between meals is not permitted. Fasting is required of the faithful between the ages of 18 and 59 on specified days. Complete abstinence of meat for the day is required of those 14 and older. Partial abstinence prescribes that meat be taken only once during the course of the day. Meat is understood not to include fish or cold-blooded animals. Prior to the changes made by Pius XII and Paul VI, fasting and abstinence were more strictly regulated. The church had prescribed that Roman Catholics observe fasting or abstinence on a number of days throughout the year. Colloquially, fasting, abstinence, the Eucharistic Fast, and personal sacrificial disciplines such as abnegation of sweets for Lent are altogether referred to as fasting. The Catholic Church has also promoted a Black Fast, in which in addition to water, bread is consumed. Typically, this form of fasting was used only by monks and other religious individuals who practice mortifications and asceticism, but all Catholics are invited to take part in it with the advice and consent of their spiritual director. A Table of the Vigils, Fasts, and Days of Abstinence, to be Observed in the Year. The Nativity of our Lord. The Purification of the Blessed Virgin Mary. The Annunciation of the Blessed Virgin. St. Simon and St. Jude. Note: if any of these Feast-Days fall upon a Monday, then the Vigil or Fast-Day shall be kept upon the Saturday, and not upon the Sunday next before it. Days of Fasting, or Abstinence. II. The Ember-Days at the Four Seasons, being the Wednesday, Friday, and Saturday after the First Sunday in Lent, the Feast of Pentecost, September 14, and December 13. III. The Three Rogation Days, being the Monday, Tuesday, and Wednesday, before Holy Thursday, or the Ascension of our Lord. IV. All the Fridays in the Year, except Christmas Day. Wednesdays and Fridays are also fast days throughout the year (with the exception of fast-free periods). In some Orthodox monasteries, Mondays are also observed as fast days (Mondays are dedicated to the Angels, and monasticism is called the "angelic life"). There are two degrees of mitigation: allowance of wine and oil; and allowance of fish, wine and oil. The very young and very old, nursing mothers, the infirm, as well as those for whom fasting could endanger their health somehow, are exempt from the strictest fasting rules. Bright Week-the period from Pascha (Easter Sunday) through Thomas Sunday (the Sunday after Pascha), inclusive. The Afterfeast of Pentecost-the period from Pentecost Sunday until the Sunday of All Saints, inclusive. The period from the Nativity of the Lord until (but not including) the eve of the Theophany (Epiphany). With the exception of the fifty days following Easter in the Coptic Orthodox Church of Alexandria, fish is not allowed during Lent, or on Wednesdays, Fridays, and Paramon days. Other than that fish and shellfish are allowed during fasting days. The Eritrean Orthodox Tewahedo Church generally follows the fasting practices of the Coptic Church however in some cases it follows the Ethiopian Church. The Ethiopian Orthodox Tewahedo Church has an especially rigorous fasting calendar. 1. Lent including Holy Week and the 10-day Fast of the Cross proclaimed by Byzantine Emperor Hereaclus (known as Hudadi, Abiye Tsom or Tsome Eyesus), 56 days. 2. Fast of the Apostles, 10–40 days, which the Apostles kept after they had received the Holy Spirit. It begins after Pentecost (known as Tsome Hwariat). 3. The fast of Assumption of the Holy Virgin, 16 days in August (known as Tsome Filseta). 4. Christmas Eve (Gahad ze Lidet) and The Eve of Epiphany, (Gahad ze Timket). 5. Advent, 40 days (Known as Tsome Gena that begin with "Sibket" on 15th Hedar and ends on Christmas Eve). 6. The fast of Nineveh, commemorating the preaching of Jonah. (On the Monday, Tuesday and Wednesday of the third week before Lent. 7. All Wednesdays and Fridays of the year except the ones that fall between Easter Sunday and Pentecost Sunday. All persons above the age of 13 are expected to observe the church fasts. Most children over age seven are expected to observe at least the Fast of the Assumption of the Holy Virgin. Dispensations are granted to those who are ill. The total number of fasting days amounts to about 250 a year. While many observe the Coptic Church's allowance for fish during the longer fasts, it has increasingly become practice in the Ethiopian Church to abstain from fish during all fasts according to the canons of the Ethiopian Church. The observation of Lent within the Syriac Orthodox Church was once very strict but now is comparatively lenient compared with how it is observed in other Orthodox Churches. The Assyrian Church of the East practices fasting during Lent, the seven weeks prior to Easter, wherein the faithful abstain from eating eggs, meat and any dairy or animal products. This is preceded by Somikka night. Classical Pentecostalism does not have set days of abstinence and lent, but individuals in the movement may feel they are being directed by the Holy Spirit to undertake either short or extended fasts. Although Pentecostalism has not classified different types of fasting, certain writers within the movement have done so. Arthur Wallis writes about the "Normal Fast" in which pure water alone is consumed. The "Black Fast" in which nothing, not even water, is consumed is also mentioned. Dr. Curtis Ward points out that undertaking a black fast beyond three days may lead to dehydration, may irreparably damage the kidneys, and result in possible death. He further notes that nowhere in the New Testament is it recorded that anyone ever undertook a black fast beyond three days and that one should follow this biblical guideline. In addition to the normal fast and black fast, some undertake what is referred to as the Daniel Fast (or Partial Fast) in which only one type of food (e.g., fruit or fruit and non-starchy vegetables) is consumed. In a Daniel Fast, meat is almost always avoided, in following the example of Daniel and his friends' refusal to eat the meat of Gentiles, which had been offered to idols and not slaughtered in a kosher manner. In some circles of Pentecostals, the term "fast" is simply used, and the decision to drink water is determined on an individual basis. Sunday worship meetings on Fast Sunday include opportunities for church members to publicly bear testimony during the sacrament meeting portion, often referred to as fast and testimony meeting. Fasting is also encouraged for members any time they desire to grow closer to God and to exercise self-mastery of spirit over body. Members may also implement personal, family or group fasts any time they desire to solicit special blessings from God, including health or comfort for themselves or others. Some Hindus fast on certain days of the month such as Ekadasi, Pradosha, or Purnima. Certain days of the week are also set aside for fasting depending on personal belief and favorite deity. For example, devotees of Shiva tend to fast on Mondays, while devotees of Vishnu tend to fast on Thursdays and devotees of Ayyappa tend to fast on Saturdays. In Shri Vidya, one is forbidden to fast because the Devi is within them, and starving would in return starve the god. The only exception in Srividya for fasting is on the anniversary of the day one's parents died. Yudhishthira asks Bhishma, "what constitutes the highest penances?" Bheeshma states (in section 103) " ....there is no penance that is superior to abstention from food! In this connection is recited the ancient narrative of the discourse between Bhagiratha and the illustrious Brahman (the Grandsire of the Creation). Bheeshma advises Yudhishthira, "Do thou practice this vow (of fasting) of very superior merit that is not known to all." Fasting for one meal every day during a lunar month gets various boons according to the month in which he fasts. For example, fasting for one meal every day during Margashirsha, "acquires great wealth and corn". Fasting is obligatory for every Muslim one month in the year, during Ramadhan. Each day, the fast begins at sun-rise and ends at sunset. During this time Muslims are asked to remember those who are less fortunate than themselves as well as bringing them closer to God. Non obligatory fasts are two days a week as well as the middle of the month, as recommended by the Prophet Muhammad. Prepubescent children; though some parents will encourage their children to fast earlier for shorter periods, so the children get used to fasting. Unconditional vomiting because the food leaves through an unintentional part of the gut. Serious illness; the days lost to illness will have to be made up after recovery. If one is traveling but one must make up any days missed upon arriving at one's destination. A woman during her menstrual period; although she must count the days she missed and make them up later. A woman till forty days after giving birth to child or miscarriage. But she must count the day she missed in Ramadan or they should donate the amount of a normal person's diet for each day missed to the poor or needy. A woman who is pregnant or breast feeding. But she must count the day she missed in Ramadan or they should donate the amount of a normal person's diet for each day missed to the poor or needy. An ill person or old person who is not physically able to fast. They should donate the amount of a normal person's diet for each day missed if they are financially capable. For elders who will not be able to fast, a lunch meal (or an equivalent amount of money) is to be donated to the poor or needy for each day of missed fasting. Tashriq (11th, 12th, 13th Dhu al-Hijjah) in accordance with Sunni Islam. Prior to undertaking a Jain fast, a person must make a vow, or a formal statement of intent. The Fast of the Firstborn, on the day before Passover, which applies only to first-born sons; this obligation is usually avoided by participating in a siyum and ritual meal that takes precedence over fasting. It is an Ashkenazic tradition for a bride and groom to fast on their wedding day before the ceremony as the day represents a personal Yom Kippur. In some congregations, repentance prayers that are said on Yom Kippur service are included by the bride and groom in their private prayers before the wedding ceremony. In the time of the Talmud, drought seems to have been a particularly frequent inspiration for fasts. In modern times as well the Israeli Chief Rabbinate has occasionally declared fasts in periods of drought. In Yoga principle, it is recommended that one maintains a spiritual fast on a particular day each week (Monday or Thursday). A fast should also be maintained on the full moon day of each month. It is essential on the spiritual fasting day not only to abstain from meals, but also to spend the whole day with a positive, spiritual attitude. On the fasting day, intake of solid food is avoided, with water taken as needed. Japan has used fasting as punishment for meat consumption. Consumption of domesticated animals was banned by Emperor Tenmu in 675 A.D. from April to September due to Buddhist influences, however wild game was exempt. Nevertheless these laws were regularly flouted. According to the Engishiki, in the Heian Period, fasts began to be used as punishment for the Buddhist sin of meat consumption, initially for 3 days. Eating meat other than seafood (defined here simply as "meat") was seen by Buddhist elite as a kind of spiritually corrupted practice. By the Kamakura Period, much stricter enforcement and punishments began, with an order from Ise Shrine a fast for 100 days for eating wild or domestic animals as defined above, anyone who ate with someone who ate "meat" were required to fast for 21 days, and anyone who ate with someone who ate with someone who consumed "meat" was required to fast for 7 days. Although practitioners of alternative medicine promote "cleansing the body" through fasting, the concept is quackery with no scientific basis for its rationale or efficacy. ^ "Do You Need to Starve Before Surgery? – ABC News". Abcnews.go.com. 25 March 2009. Retrieved 18 October 2010. ^ Norman, Dr (17 April 2003). "Fasting before surgery – Health & Wellbeing". Abc.net.au. Retrieved 18 October 2010. ^ "Anesthesia Information (full edition) | From Yes They're Fake!". Yestheyrefake.net. 1 January 1994. Archived from the original on 12 November 2010. Retrieved 18 October 2010. ^ "Lowering High TRIGLYCERIDES and Raising HDL Naturally – Full of Health Inc". Reducetriglycerides.com. Retrieved 18 October 2010. ^ a b Whitney, Eleanor Noss; Rolfes, Sharon Rady (27 July 2012). Understanding Nutrition. Cengage Learning. ISBN 978-1133587521. Retrieved 22 January 2017. ^ Shils, Maurice Edward; Shike, Moshe (2006). Modern Nutrition in Health and Disease. Lippincott Williams & Wilkins. ISBN 9780781741330. Retrieved 22 January 2017. ^ Anton, Stephen D; Moehl, Keelin; Donahoo, William T; Marosi, Krisztina; Lee, Stephanie A; Mainous, Arch G; Leeuwenburgh, Christiaan; Mattson, Mark P (2017). "Flipping the Metabolic Switch: Understanding and Applying the Health Benefits of Fasting". Obesity. 26 (2): 254–268. doi:10.1002/oby.22065. PMC 5783752. PMID 29086496. ^ a b Russell, Sharman Apt; Russell, Sharman (1 August 2008). Hunger: An Unnatural History. Basic Books. ISBN 978-0786722396. Retrieved 22 January 2017. ^ Leonhardt, David (2013). Nine Habits of Happiness. DoctorZed Publishing. ISBN 9780980625998. Retrieved 22 January 2017. ^ "Vegetarian Times". Active Interest Media, Inc. 1 October 1985. Retrieved 22 January 2017. ^ Moore, Jimmy; Fung, Jason (2016). The Complete Guide to Fasting: Heal Your Body Through Intermittent, Alternate-Day, and Extended Fasting. Simon and Schuster. p. 232. ISBN 9781628600018. Retrieved 1 August 2017. ^ McCue, Marshall D. (2012). Comparative Physiology of Fasting, Starvation, and Food Limitation. Springer Science & Business Media. p. 15. ISBN 9783642290565. Retrieved 1 August 2017. ^ a b c Smith, Peter (2000). "fasting". A concise encyclopedia of the Bahá'í Faith. Oxford: Oneworld Publications. p. 157. ISBN 978-1-85168-184-6. ^ "The Buddhist Monk's Discipline: Some Points Explained for Laypeople". Accesstoinsight.org. 23 August 2010. Retrieved 18 October 2010. 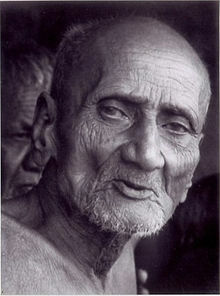 ^ "Kitagiri Sutta-Majjhima Nikaya". Urbandharma.org. Retrieved 12 March 2011. ^ Lee, Yujin; Krawinkel, Michael (2009). "Body composition and nutrient intake of Buddhist vegetarians". Asia Pacific Journal of Clinical Nutrition. 18 (2): 265–271. ISSN 0964-7058. PMID 19713187. ^ a b Harderwijk, Rudy (6 February 2011). "The Eight Mahayana Precepts". Viewonbuddhism.org. Retrieved 12 March 2011. ^ For further information, see The Way to Buddhahood: Instructions from a Modern Chinese Master by Venerable Yin-shun. ^ a b c "Nyung Ne". Drepung.org. Retrieved 12 March 2011. ^ "Nyungne Retreat with Lama Dudjom Dorjee". Ktcdallas.org. Archived from the original on 26 December 2010. Retrieved 12 March 2011. ^ Ph.D, Randi Fredricks (20 December 2012). Fasting: An Exceptional Human Experience. AuthorHouse. ISBN 978-1-4817-2379-4. ^ a b Falwell, Jerry (1981). Fasting, what the Bible teaches. Tyndale House. p. 27. ISBN 9780842308496. ^ David Grumett and Rachel Muers, Theology on the Menu: Asceticism, Meat and Christian Diet (Routledge, 2010). ^ a b c Ripley, George; Dana, Charles Anderson (1883). The American Cyclopaedia: A Popular Dictionary for General Knowledge. D. Appleton and Company. p. 101. The Protestant Episcopal, Lutheran, and Reformed churches, as well as many Methodists, observe the day by fasting and special services. ^ a b Hatch, Jane M. (1978). The American Book of Days. Wilson. p. 163. ISBN 9780824205935. Special religious services are held on Ash Wednesday by the Church of England, and in the United States by Episcopal, Lutheran, and some other Protestant churches. The Episcopal Church prescribes no rules concerning fasting on Ash Wednesday, which is carried out according to members' personal wishes; however, it recommends a measure of fasting and abstinence as a suitable means of marking the day with proper devotion. Among Lutherans as well, there are no set rules for fasting, although some local congregations may advocate this form of penitence in varying degrees. ^ "Code of Canon Law - IntraText". www.vatican.va. Retrieved 7 March 2019. ^ Gavitt, Loren Nichols (1991). Saint Augustine's Prayer Book. Holy Cross Publications. Retrieved 11 June 2015. ^ Daniel Cobb, Derek Olsen (ed.). Saint Augustine's Prayer Book. pp. 4–5. ^ a b c d e Kallistos (Ware), Bishop; Mary, Mother (1978). The Lenten Triodion. South Canaan PA: St. Tikhon's Seminary Press (published 2002). pp. 35ff. ISBN 978-1-878997-51-7. ^ a b Kallistos (Ware), Bishop (1964). The Orthodox Church. London: Penguin Books. pp. 75–77, 306ff. ISBN 978-0-14-020592-3. ^ "Old Orthodox Prayer Book" (2nd ed.). Erie PA: Russian Orthodox Church of the Nativity of Christ (Old Rite). 2001: 349ff. ^ "August 1991". Stjamesok.org. Retrieved 11 January 2016. ^ "John Wesley and Spiritual Disciplines-- The Works of Piety". The United Methodist Church. 2012. Archived from the original on 10 November 2014. Retrieved 5 April 2014. ^ a b Crowther, Jonathan (1815). A Portraiture of Methodism: Or, The History of the Wesleyan Methodists. T. Blanshard. pp. 251, 257. ^ a b c d Beard, Steve (30 January 2012). "The spiritual discipline of fasting". Good News Magazine. United Methodist Church. ^ Synan, Vinson (25 August 1997). The Holiness-Pentecostal Tradition: Charismatic Movements in the Twentieth Century. Wm. B. Eerdmans Publishing. p. 24. ISBN 9780802841032. ^ Earley, Dave (2012). Pastoral Leadership Is...: How to Shepherd God's People with Passion and Confidence. B&H Publishing Group. p. 103. ISBN 9781433673849. ^ a b c Gentilcore, David (19 November 2015). Food and Health in Early Modern Europe: Diet, Medicine and Society, 1450-1800. Bloomsbury Publishing. p. 125. ISBN 9781472528421. ^ a b Weitzel, Thomas L. (1978). "A Handbook for the Discipline of Lent" (PDF). Evangelical Lutheran Church in America. Retrieved 17 March 2018. ^ An explanation of Luther's Small Catechism: The Sacrament of the Eucharist, section IV: Who receives the Sacrament worthily? (LCMS). Retrieved 15 October 2009. ^ Hambrick-Stowe, Charles E. (1 April 2013). The Practice of Piety: Puritan Devotional Disciplines in Seventeenth-Century New England. UNC Press Books. p. 100. ISBN 9781469600048. ^ Poole, Kristen (30 March 2006). Radical Religion from Shakespeare to Milton: Figures of Nonconformity in Early Modern England. Cambridge University Press. ISBN 978-0-521-02544-7. ^ Riley M. Lorimer. "Where Do Fast Offerings Go? - New Era May 2008 – new-era". Lds.org. Retrieved 11 January 2016. ^ Gordon B. Hinckley. "The State of the Church – Ensign May 1991 – ensign". Lds.org. Retrieved 11 January 2016. ^ a b "First Presidency Letter: Testimonies in Fast and Testimony Meeting – Church News and Events". Lds.org. Retrieved 11 January 2016. ^ "Shravan Month, Shravan Maas, Sawan Mahina 2015". Rudraksha Ratna. Retrieved 11 January 2016. ^ "The Mahabharata, Book 13: Anusasana Parva: Section CIII". www.sacred-texts.com. Retrieved 19 October 2015. ^ "The Mahabharata, Book 13: Anusasana Parva: Section CIX". www.sacred-texts.com. Retrieved 19 October 2015. ^ "The Mahabharata, Book 13: Anusasana Parva: Section CVI". www.sacred-texts.com. Retrieved 19 October 2015. ^ "Official Ramadan 2014 website". Ramadan.co.uk. Retrieved 11 January 2016. ^ Ismail Kamus (1993). Hidup Bertaqwa (2nd ed.). Kuala Lumpur: At Tafkir Enterprise. ISBN 983-99902-0-9. ^ Wiley, Kristi (2004). The A to Z of Jainism. p. 85. ISBN 978-0810868212. ^ Prero, Yehuda. "The Fast of the Tenth of Teves, "Asara B'Teves"". Project Genesis. Retrieved 1 August 2010. ^ Bar-Hayim, David (6 July 2009). "The Four Fasts: Halakha or Minhagh". Machon Shilo. Retrieved 28 September 2017. ^ Bar-Hayim, David (15 July 2010). "The Four Fasts and their Halakhic Status Today". Machon Shilo. Retrieved 28 September 2017. ^ David Gorski (23 May 2011). "Fashionably toxic". Science-Based Medicine. Retrieved 29 January 2019. Wikimedia Commons has media related to Fasting. "Fasting" . Encyclopædia Britannica. 10 (11th ed.). 1911. pp. 193–198. "Fast" . New International Encyclopedia. 1905. O'Neill, James David (1909). "Fast" . Catholic Encyclopedia. 5.